Scientists who study glaciers say the darkening of ice — linked to wildfires — could speed up the melt rate of glaciers already in retreat. When Ben Pelto does his field research on glaciers in the Rocky and Columbia mountains there are distinct perks. The views aren't bad, if you like the breathtaking kind. He also gets to drink water that comes straight from the source. However, on recent visits the water has tasted less like pristine glacier and more like soot. "When it's fire season you can taste the smoke in the water. It's a bit of a bummer, because you look forward to this crisp cold water, but it has this funky taste," said Pelto, who has been monitoring glaciers, like the Conrad, south of Golden, B.C., for the last five years, as part of a research project at the University of Northern British Columbia. It's not the taste that concerns Pelto so much as the darkening of the ice, especially last summer when wildfires raged across British Columbia. 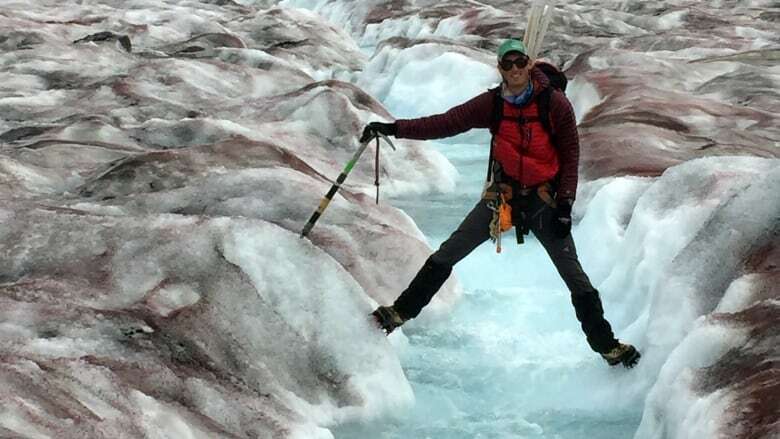 "The surface of the glaciers was the dirtiest I've ever seen it," Pelto said. The darker the ice the more sunlight it absorbs. Scientists are concerned forest fire fallout will speed up the melt of glaciers already in retreat. On the Alberta side of the Rockies, hydrologist John Pomeroy studies the Peyto and Athabasca glaciers through the Centre of Hydrology and Coldwater Laboratory in Canmore. He's also been finding deposits of ash, likely blown in from wildfires in B.C. "We're fairly certain it's coming from these fires. You can follow the smoke plumes from various atmospheric models and see them affecting it," Pomeroy said. Typically in the summer, when the snow has melted away, glaciers absorb roughly 60 per cent of the sun's rays, Pomeroy said. "The last two summers have been a shock. 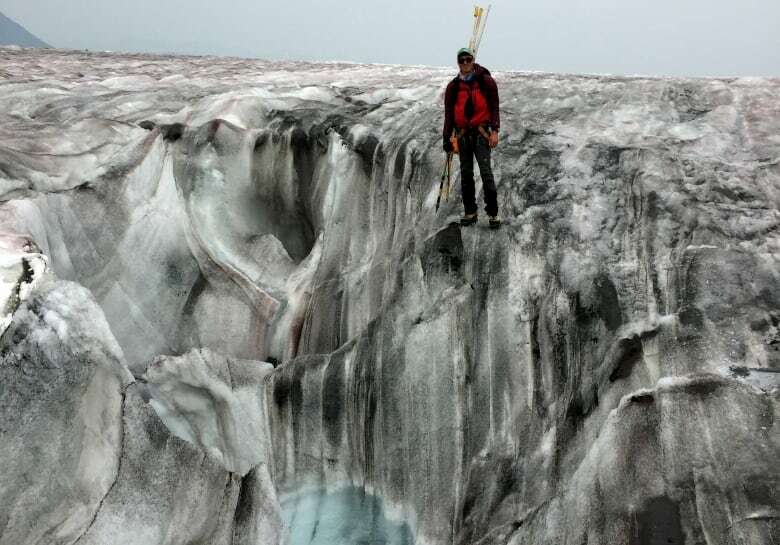 Last summer we saw a 70 per cent of the solar radiation was being absorbed on the glacier surfaces. This summer we've seen 80 per cent absorbed," he said. He worries that's contributing to a faster melt rate, but he says it's tricky to measure the effect of wildfires on glaciers. One complicating factor is all the smoke. "There were days last August when the ice was almost certainly melting more slowly than it would have without the fires because of the smoky sky, but the ash will last much longer than the smoke has. And so we're putting this into our models now to estimate the net effect on this." 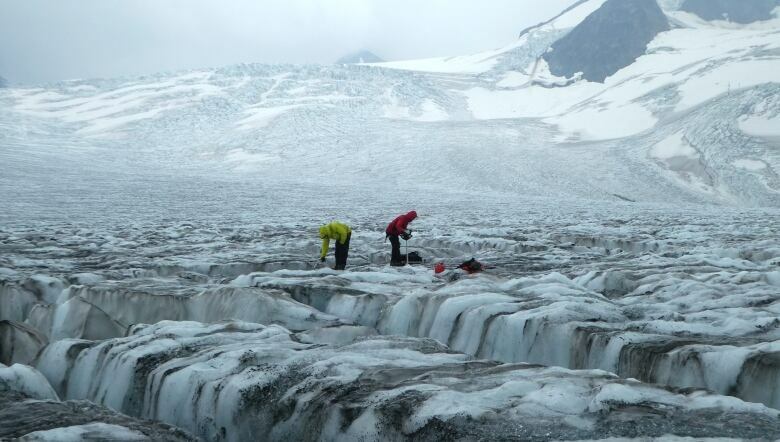 For University of Calgary glaciologist Shawn Marshall, understanding that net effect is crucial. Since 2000, he's been studying the impact of climate change on the shrinking Haig glacier in the Rockies. "If you're getting a bad fire season, it's already hot and dry. It's already a tough summer for the glaciers. 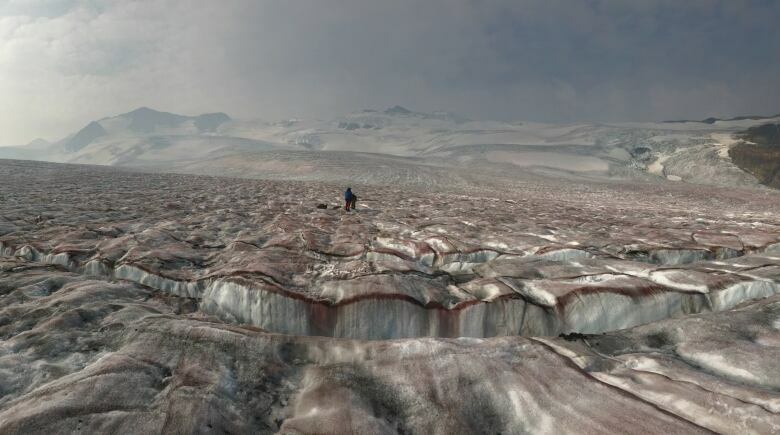 So, if we're actually getting these darker glaciers, it's just like a kick when you're down a little bit — it's even worse." Pelto said in his five years of research, last year was the dirtiest he's ever seen the B.C. glaciers, when wildfires consumed large parts of the province. Scientists, like Marshall, say more research is needed, but they're facing an unsettling prospect. Because of intensifying wildfire seasons their forecasts for Rocky mountain glaciers, and the river systems they feed, may be overly optimistic. "It's a potentially important effect that's missing right now in our models. So, for the river forecast projections for Alberta and Saskatchewan it's pretty important to know how long these glaciers will be with us and it's starting to look like the fires will be part of that story." Allison Dempster is an award-winning national reporter and producer with CBC News based in Calgary.